Trump refused to hand over documents in a racism lawsuit against his company. Donald Trump has repeatedly hammered Hillary Clinton over her deletion of work emails she kept on a private server. But investigations into Trump's past suggest the Republican candidate's own businesses routinely destroyed or withheld evidence related to court cases. USA Today reported in June on a decade-old civil case pitting Trump Hotels and Casino Resorts against an employee, in which it turned out that Trump’s business erased emails as a matter of course, and had no records for the years 1996 through to 2001. The defendant in that case, Richard Fields, argued it amounted to destruction of evidence, and even the judge was surprised. “He has a house up in Palm Beach County listed for $125 million, but he doesn’t keep emails. That’s a tough one,” Judge Jerry Streitfeld said, according to court documents obtained by USA Today. But that was just one case in what was a pattern of behaviour, according to an investigative report published by Newsweek Monday. The news magazine reviewed “thousands of pages of court filings” to conclude that Trump businesses had “systematically destroyed or hidden thousands of emails, digital records and paper documents demanded in official proceedings, often in defiance of court orders." The earliest incident Newsweek found dated to 1973, when Trump and his father fought civil charges accusing their company of refusing to rent apartments to African-Americans. In 1975, after 18 months of the civil case getting nowhere, the Trumps reached a settlement with prosecutors that would see them agree to abide by civil rights laws and publicly notify that they rent to minorities. "I give [the FBI] great credit for having the courage to right this horrible wrong." — Donald Trump, after FBI Director James Comey's announcement the bureau is reopening the Clinton probe. But the Trumps reportedly continued to refuse to rent to minorities, and the government sued them again in 1978, reaching another settlement, Newsweek reported. 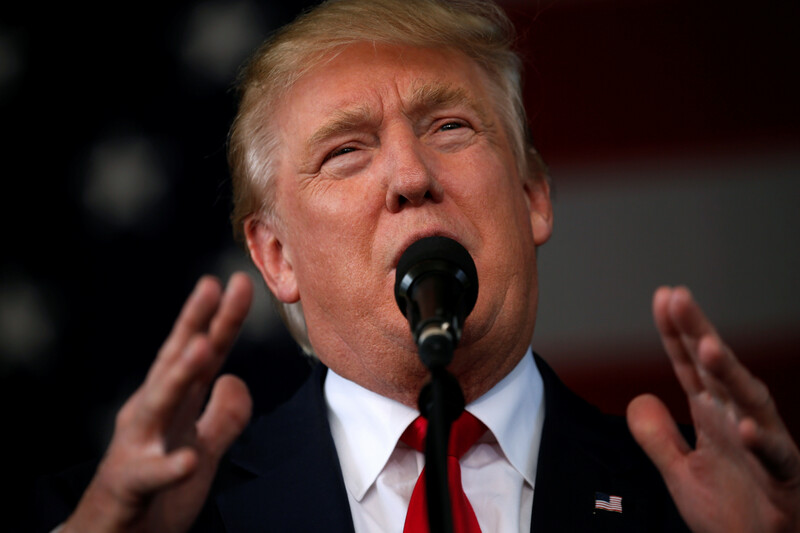 On the campaign trail, Trump has repeatedly attacked rival Hillary Clinton over her deletion of more than 30,000 work-related emails that she had kept on a private server, rather than on secure U.S. government servers. 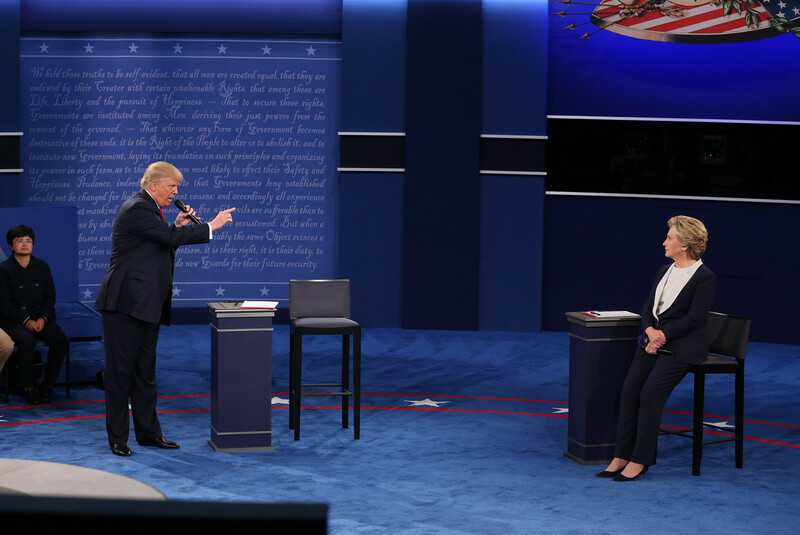 During the presidential debate on Oct. 9, Trump threatened Clinton with jail over the email scandal. Trump heaped praise Friday on FBI Director James Comey following Comey’s revelation that the FBI had reopened the investigation into Clinton. "The FBI would not have reopened this case at this time unless it were a most egregious offense," Trump said. "I've had a lot of words about the FBI lately, but I give them great credit for having the courage to right this horrible wrong."